Beth Wagner of Phoenix Books Burlington and Essex has been awarded a full scholarship to the American Booksellers Association's Winter Institute. Beth is the children's book buyer and IT director at Phoenix Books. A resident of Fairfax, she has been in bookselling for over a decade. "All of the Phoenix family is thrilled that Beth will be representing our stores at this event," says Phoenix Books co-owner Mike DeSanto. "We can't wait for her to come back with a basketful of great ideas." Wagner's scholarship is sponsored by Candlewick Press, an independent children's publisher based in Somerville, Massachusetts. "Beth Wagner embodies what CHIRP (Candlewick’s Handselling Indie Recognition Program) is all about. We salute her unparalleled expertise, enthusiasm, knowledge and energy needed to handsell children’s books and get the right book into the right child’s hands at the right time. We’re thrilled to send her to the ABA’s Winter Institute in Kansas City next February, where she’ll be able to hone her skills even more," says Elise Supovitz, Candlewick's Director of Field Sales. The American Booksellers Association’s (ABA) Eighth Annual Winter Institute will be held in Kansas City, Missouri, from Saturday, February 23, through Monday, February 25, 2013. Over 500 booksellers from across the United States attend. Burlington, Vermont - November 26, 2012: A wide range of e-reading choices has come to town, just in time for the fall and holiday shopping seasons. Phoenix Books, an independent bookstore with locations in both Burlington and Essex, Vermont is now selling eBooks through its website www.phoenixbooks.biz and eReaders by Kobo in the stores at 191 Bank Street, downtown Burlington and at Essex Shoppes and Cinemas, Essex. Phoenix Books now offers a total e-reading experience for their customers, including a full line of eReaders, eReading accessories, and eBooks from Kobo’s catalog of nearly 3 million titles. At the center of the program are new e-readers from Kobo, a leader in eReading with more than 10 million registered users worldwide. Phoenix Books has been selling Google eBooks, but that program will end in January 2013. “We are pleased to offer our customers a broad and diverse eReading choice,” said co-owner Mike DeSanto. “By working with Kobo, Phoenix Books will be able to offer our customers an extensive catalog of the eBook titles our customers love and want, and a choice of innovative new eReaders at affordable prices. Now we can continue to offer our loyal customers the chance to buy eBooks and support their favorite bookseller at the same time.” He goes on to exhort readers not to get stuck in the Kindle world when they can shop the eBook universe by using Kobo: "Kindle is totally proprietary and does not allow the user to shop wherever they want. With Kobo, you get freedom to do what you want to do, go where you want to go and shop like you want to shop. Kindle makes you a hostage to whatever Amazon is up to. The main thing about Kobo is that by buying and using it you really are supporting your local book store, Phoenix Books, and you are shopping local as well. I am not a technophile, but the Kobo technology has been generally applauded, and our booksellers find it pretty easy to use." Phoenix Books was established in 2007 on the principles of social responsibility, community, and sustainability, and is a proud member of Local First Vermont and Vermont Businesses for Social Responsibility. Phoenix Books Burlington and Phoenix Books Essex are locally-owned, independent bookstores. Their Essex location also houses a gallery and cafe. Whenever possible, Phoenix Books sources eco-friendly products from Fair Trade/Green Certified companies. Since its inception in 2009, Kobo has built a global base of more than 10 million registered users in 190 countries and one of the largest eBook stores in the world, with 3 million books, newspapers, and magazines. Kobo’s Read Freely philosophy supports an open platform and adoption of industry standards to ensure that people own the books they buy and are never locked to one device or service. Additionally, Kobo offers free eReading apps so people can read conveniently anytime, anyplace from a device they already own. With Kobo, consumers can easily browse and shop from the Phoenix Books' website www.phoenixbooks.biz and automatically sync their library across most popular devices including iPad, iPhone, Android, Mac, PC, and smartphones, as well as all Kobo eReaders. 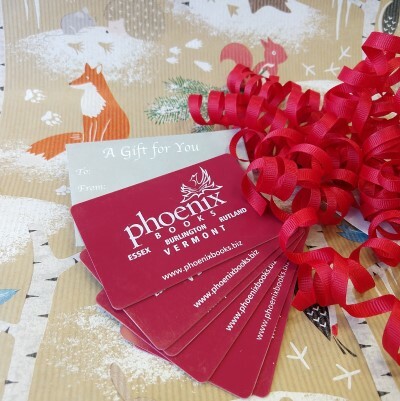 If you missed our Phoenix Holiday Review 2012 edition, which was featured in the Tuesday, November 20 issue of the Burlington Free Press, be sure to download the PDF version here or stop by the store to pick up a copy! It's chock full of gift ideas for everyone on your holiday list. Mike DeSanto, owner of Phoenix Books in Burlington and Essex, announced that all through the fall, Phoenix Books is “going local” with Wind Ridge Publishing, (WRP). WRP authors are all local residents – however, their books reflect a broad range of issues, experience, and global interests – from Green Mountain Coffee Roasters’ Rick Peyser and Bill Mares’ in Brewing Change, Peyser’s personal account of social responsibility and the lives of coffee farmers, to Vermont wildlife rehabilitator Helena Nicolay’s Squirrel Diaries and Shelburne veterinarian Dr. Steven Metz’s book, Exotic Tails. Other featured WRP releases include VPR commentaries from the Executive Director of the Vermont Humanities Council, Peter Gilbert’s I Was Thinking and Paul Boisvert’s photo essays in his coffee table book, Burlington ~ A Sense of Place. All events take place at Phoenix Books Burlington, located at 191 Bank Street in Burlington, Vermont, and are free and open to the public. Copies of featured titles will be available for attendees to purchase and have signed. 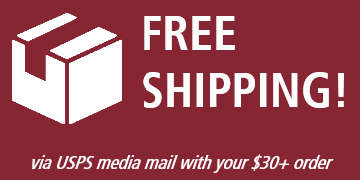 For more information, please call 802-448-3350 or visit www.phoenixbooks.biz. The Queen City’s eighth annual celebration of the written word is on the way. September 21 through 23 enjoy readings, signings, panels, workshops, exhibits, musical performances, original theater, demos and special events featuring literary luminaries from around the world-and just around the corner! All events are free. This year’s headliners include Rolling Stone's Michael Hastings, Alison Bechdel, Newbery Medalist Paul Fleischman, Vermont Poet Laureate Sydney Lea, Emily M. Danforth, Bill McKibben and winner of the 2012 Pulitzer Prize for Poetry, Tracy K. Smith. For more information on the Burlington Book Festival, and to find the full schedule, please visit http://burlingtonbookfestival.com. As you may have read in today's online Wall Street Journal, ABA is pleased to be partnering with ebook and ereader retailer Kobo, and, beginning this Fall, all of our member bookstores - not only those using IndieCommerce - will be able to sell e-books online, and importantly, to sell e-reader devices in the store. We wanted to share this important news with you as soon as possible, and additional information will be forthcoming shortly. Here's a link to today's press release about our new partnership with Kobo, and here's a link to a detailed FAQ about the business model and next steps for ABA members. Importantly, the FAQ is password protected on BookWeb.org because it is for members only. We wanted to tell our members the news as soon as the partnership papers were signed; developing a reliable ebooks option has been a priority of the last few months, and we know that many of you have considered it critical as well. Even with this great news, we continue to believe that print books will remain the lion share of your sales. However, we believe that Kobo offers the best possible ereading solution for all of our member bookstores, and will, once implemented, allow you to get back to what you love to do, and do best - discovering and recommending great reads. Please don't hesitate to contact me or your Member Relationship Manager with any questions; we will share what we can. The FAQ can likely answer questions as well. 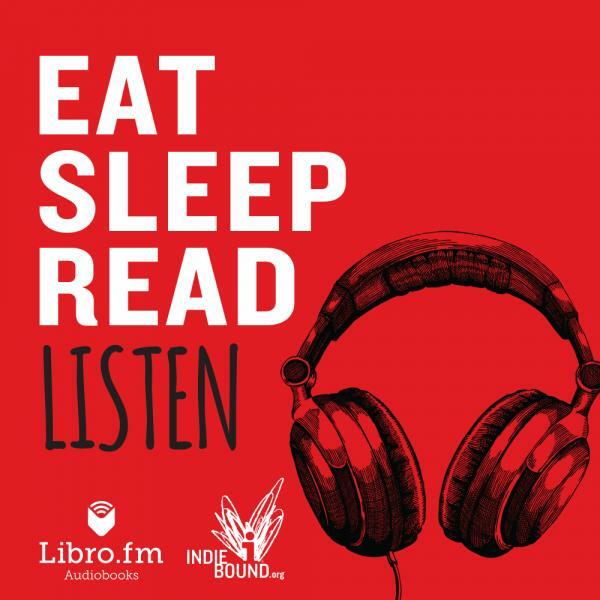 And expect to hear more about how indies are moving forward with Kobo within the next week or ten days. On Monday, June 25th owner Michael DeSanto was on VPR's Vermont Edition Summer Reading Show. Below are the books he's picked as great summer reads! Did you miss the show? Listen in at http://www.vpr.net/episode/53862/must-reads-summer-2012/ .